Enhancing Learning Grants are back by popular demand! These grants are intended to provide opportunities for a team of teachers to work together on a collaborative inquiry question. 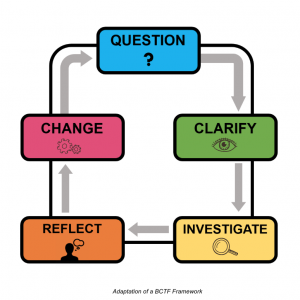 The question needs to focus on an element of the redesigned curriculum and how to improve student learning. Crafting an Enhancing Learning Grant? Consider the following question starters. Example: What happens when we provide intensive, side-by-side reading instruction for ELL students? 2. What differences do we notice in… when….? Example: What differences do we notice in students’ success at school when we explicitly teach & model self-regulation strategies? Example: How do digital portfolios affect students’ engagement and achievement? Example: What is the role of a makerspace in furthering students’ understanding of ADST?